Innovation is the catalyst for growth in any organisation. Gaining access to world class facilities, technical expertise, as well as student and graduate talent are essential factors in allowing businesses to translate their ideas into commercial reality. 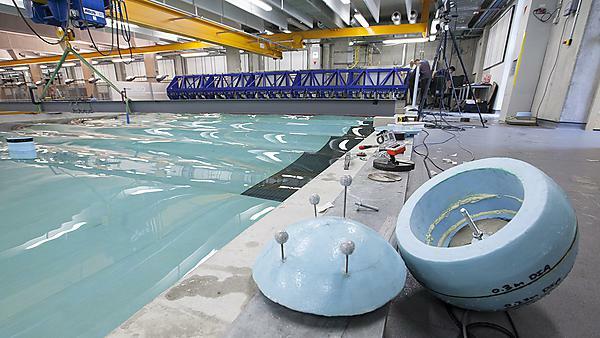 University of Plymouth Marine Institute is well placed to support the transfer of knowledge, skills and expertise, and to help develop new products, processes, applications, materials or services. By working in partnership, the Marine Institute ensures businesses have timely access to cutting-edge science and equipment while our academics and students keep in touch with the latest industry practices. To help provide a customer focused service, the Marine Innovation Centre (MARIC) has been established with financial support from the European Regional Development Fund (ERDF). The MARIC knowledge exchange team is based on the University campus. Our people support inventors, entrepreneurs, new and existing Small and Medium Sized Enterprises (SMEs) aspiring to work in any of the marine sectors, as well as supporting inward investors.